This is our family home, which we have hosted many guests, on Bookabach and Airbnb for a number of years. Bushwalks etc and guests that just want to be in the countryside but close to Auckland. 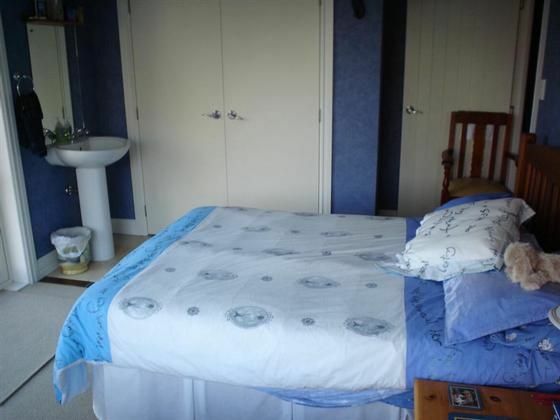 The accommodation is also listed on airbnb.com under Muriwai Valley Countrystay. Lots of space outside with big flat lawn, paddocks and a 250 metre concrete drive for riding bikes. Pet Sheep, Pet Goats, Chickens, Cows and other farm animals. Very unique large outdoor 'man made' volcano made especially for children to play on and in. Mountain Biking in Woodhill Forest. Hot Pools nearby in Parakai. Large selection of local vineyards. 20 minutes to Parakai Hot Pools. 15 minutes drive to Woodhill Tree Adventure Course. Grazing for horse, if required, conditions apply. Central to all Wedding Venues, with transport available. We had two kids under 5 and they loved it here. We had two kids under 5 and they loved it here. There's plenty to keep them entertained in Muriwai and surrounding areas and the house and property had heaps of room for them to play and scooter around. They enjoyed feeding the goats every day too. This house is beautiful. We used it as a base for a local wedding. It is located on a great section and perfect if you love animals. We had a great time. A great location! Easy to find. A great location! Easy to find. Sunny aspect. Have to really love animals to stay here. This lady asked if she could bring her dog, so I presumed she likes animals. Our add also shows that we have a block of animals with animals, and one of the guests said she lived on a sheep farm. I asked her before the rental if she would feed the cats, or if she wanted me to put them into the cattery, she said she didn't mind feeding them. I assure you, our house is very clean and we have never had a complaint in 8 years. Close to the beach and a lovely large property! We had such a great experience at this house. We had such a great experience at this house. Although we only stayed 2 nights, we fed the animals, chilled outside in the spacious garden. Kids would love it here as it has lots of fun games and space to play. I would definitely recommend this house.